Our attorneys have received national recognition for their legal commentary across a variety of mediums, including television, online publications, and well-known newspapers. Television appearances have covered a wide array of subjects and cases making headlines across the country, including the Casey Anthony trial and the widespread damage caused by Hurricane Sandy. National media outlets continue to seek out our lawyers to provide high level legal commentary concerning these issues because they’re both respected in the legal community and known for their track record of success with clients. Click on the links below to watch our attorneys provide legal analysis or read their interviews. 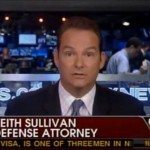 Our partners, Keith Sullivan and Jay Galleshaw, are regular contributors for local and national news networks, including Fox News and NBC News. They have appeared separately on programs ranging from “On The Record” with Greta Van Susteren to “Nightly News” with Lester Holt on the legal implications of intricate topics grabbing national headlines, including controversial Stand Your Ground laws and digital security in the wake of widespread email hacking. Their skilled commentary has bolstered the firm’s reputation as leaders in their chosen areas of practice. 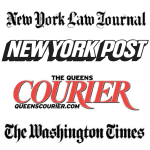 Newspapers with national readership, including the New York Post, New York Law Journal and The Washington Times, have profiled the firm’s work on behalf of their clients as well as their high profile case results. Drawing greater attention to these successful outcomes serves to let the public know how the negligent actions of others can truly damage the lives of those around them and puts insurance companies on notice that we fight hard to obtain full compensation for our clients. Our work has also helped shape the legal landscape for future matters, ensuring that those who do seek compensation for their injuries can recover what’s rightfully owed to them. 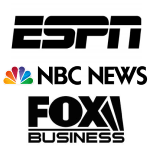 As a New York law firm operating in the city for more than 15 years, our partners have provided business commentary and informed opinions on a variety of topics to online publications, including Fox Business and ESPN. 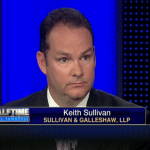 Keith Sullivan, in particular, entered the national boxing conversation when he was named Deputy Commissioner of the New York State Athletic Commission in 2012. Sullivan previously represented boxer Joe Gamache in pursuing compensation for negligence after the NYSAC allowed an over-weight Arturo Gatti to fight him in Madison Square Garden in 2000.